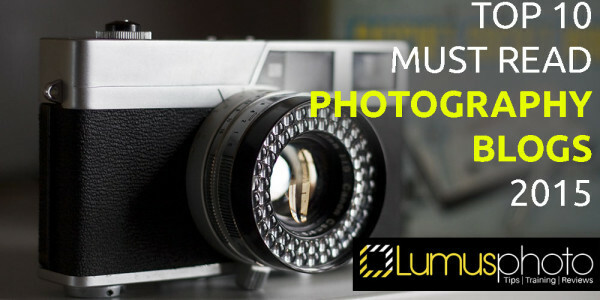 Check out our top 10 must read photography blogs. Here are some of the best and they aren’t to be missed! Whatever type of photography you’re into there’s a photography blog sat waiting to be scrolled through. Off camera lighting, natural light shooters, do it yourself photography, there really is something for everyone. 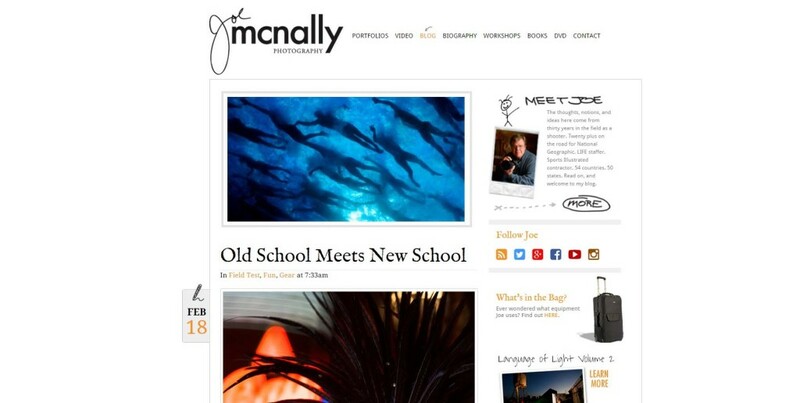 Along with his blog Scott runs kelbyone.com – probably the largest photography training resources out there to date. 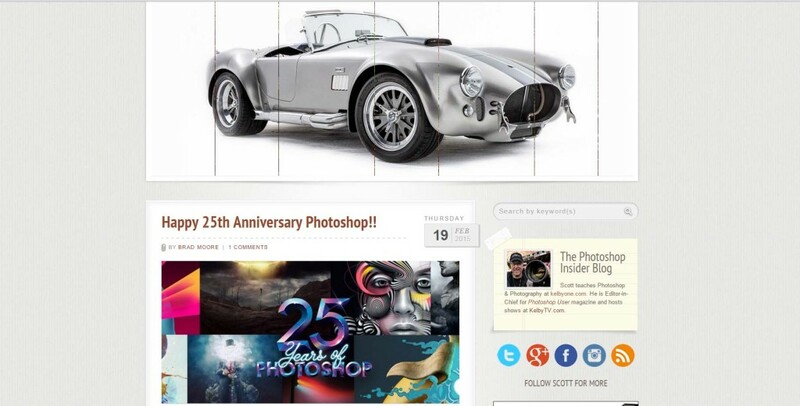 He is a post processing genius as well as being a truly inspiring entrepreneur. He puts loads of amazing and free content over on his youtube channel and is well worth making the time to check out his stuff. If you’re a photographer who struggles with the marketing side of things (which most photographers do) then you seriously need to check out Nigel’s website zenologue.com. His website and photography blog is a library full of free and in depth, real world marking advice specifically for photographers. Most of us in the creative world struggle with the marketing and business side of things. Nigel’s aim is to make marketing as simple as possible so you don’t over think or over complicate things, which will help you carry on doing what you love for longer in your business. Perfect for anyone thinking of becoming a professional or any professionals who are struggling in the modern business world of photography. This is one photography blog you can’t afford to miss! For the past decade Zack Arias has worked in the music industry as well as shooting editorial and corporate stuff along the way. He likes to keep it simple when it comes to his photography and loves to shoot with Fuji cameras. Go check out his blog today. 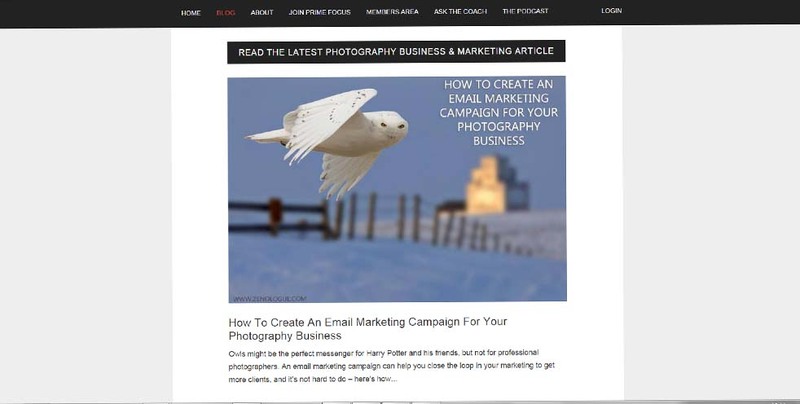 Launched in 2006 DIY photography was born out of a need to fulfil gear hungry photographers who wanted cheaper do it yourself alternatives to things from $500 ice lights to beauty dishes. There’s loads for the inspiration seeking photographer to get their teeth stuck into and has hundreds of photography tutorials for you to cast your eye over. Head over to their website today and get making some do it yourself photography accessories! A real trailblazer in photography, Alex’s photos leave people stunned and asking the question, “How did he do that? !” Well he will show you! Photigy isn’t exact a photography blog but it is a huge resource for photographers of all levels to learn from. Alex gives out loads of free videos and resources for aspiring photographers as well as giving out lots of inspiring photography ideas which you can do at home. I can’t recommend Alex’s website and youtube channel enough. This likeable chap has seen his following grow steadily over the past few years. Along with his website he also produces videos for Adoramatv. He has a natural talent to explain complicated information in a very simple way and is a fantastic teacher for photographers new and not so new all over the world today. Check out some of his videos over on youtube. Since its launch in 2010 Fstoppers has become a fantastic resource for photographers all over the world. With its slick website and well written tutorials these guys know what they are talking about and produce some amazing images as well cool videos over on youtube. Their iphone fashion shoot video has been watched by almost 1 million people to date! In the month of May 2009 petapixel was born. Their aim is to educate, inspire and inform – and it certainly does that! Jammed packed full of really helpful and cool photography articles, petapixel is a photography blog you want to be read more and more. You will find yourself book marking this one. David Hobby from the strobist has readers from over 175 countries, and has built a huge and loyal following since the photojournalist turned blogger started writing his photography blog back in the mid 90s. His website is crammed packed full of photography lighting techniques and more importantly cheap alternatives for those of us not wanting to spend $1000’s of elaborate lighting set ups. Just wanted to stop by and say a big “Thank You” for including me on your list – I’m extremely honored indeed to be in such great company as the others you chose here! I’m sure others will find your blog and the resources here to be very helpful in their photographic journey, and I wish you all the best with it. You’re more than welcome – can I just say a massive thank you for all the top quality information you put out there. It’s an honour to have you comment on here! But could I ask how did you come to find my blog? Just curious as I’m trying to get a handle on my SEO and content building so your feedback on this would be invaluable. My pleasure, and thanks for replying to my comment. I’m sure the things you are doing here are good for your SEO, so keep up the great work. Drop your email below to be kept up to date! In 3 parts and in HD our DSLR training videos are our way of saying thanks for reading & supporting Lumusphoto – because without you it wouldn’t be possible.